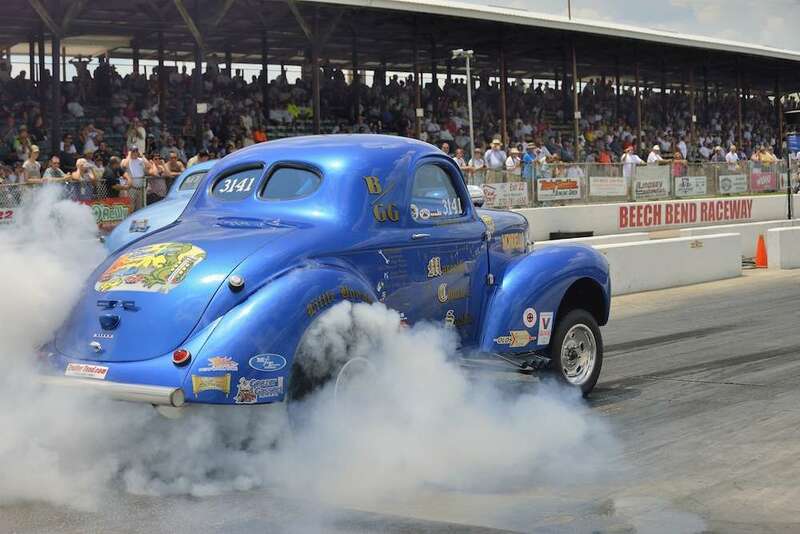 Gear up because muscle cars are rolling into town for the 14th Annual QuickFuel NMCA Muscle Car Nationals at Beech Bend Raceway, coming May 15-17. The muscle car lover’s dream, this annual full throttle event features special events like the Dave Duell Nostalgia Super Stock Classic, street legal Gear Vendors, True Street racing, bracket racing, an all-domestic car show on both Saturday and Sunday, a giant manufacturers’ midway and more! Watch classes like the VP Racing Fuels Pro Mod cars as they barrel down the track at over 250 mph! Each class winner at this event (points classes only) will take a trip to the Aerospace Components Winner’s Circle for the ultimate celebration experience. The Muscle Car Nationals is one of over a dozen national auto shows coming to Bowling Green during the 2015 racing season. For more info on this event, check out the official NMCA website. For info on others, including the Danchuk Tri-Five Nationals (a KTIA Top Summer Event for 2015), the Holley National Hot Rod Reunion , National Corvette Homecoming, Goodguys 4th Nostalgia Nationals and more, check out the motorsports listings here. Meanwhile, be sure to Like our Facebook page and enter our #gearedforgiveaways contest with a #DriveBG theme this week. The contest runs May 8-May 13! Our first hot rod inspired #gearedforgiveaways freebie celebrates the NMCA Muscle Car Nationals at Beech Bend Raceway! This prize package includes a complimentary 1-night stay at Hilton Garden Inn, two free day passes to the event, plus two matching hats and a bumper sticker! To enter to win, simply LIKE our Facebook page and comment on the post. The winner will be selected at random and announced on the Facebook page May 16! Check out the #DriveBG Facebook page for more info on all things motorsports in BG—be it events, company info, attraction news or anything else auto related!